Southern Oregon has a variety of winter activities -- skiing, snowshoeing, sledding, tubing and ice skating, but wine tasting is the best way to cap off any adventure. The Rogue Valley is home to three main wine trails which touch all corners of the valley. So no matter where you are adventuring, you are sure to find a tasting room along the way. 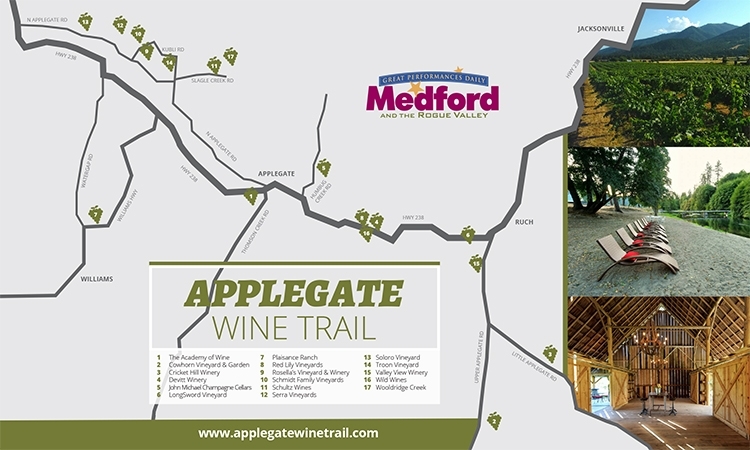 50 miles long, the Applegate Wine Trail is home to 19 unique wineries. 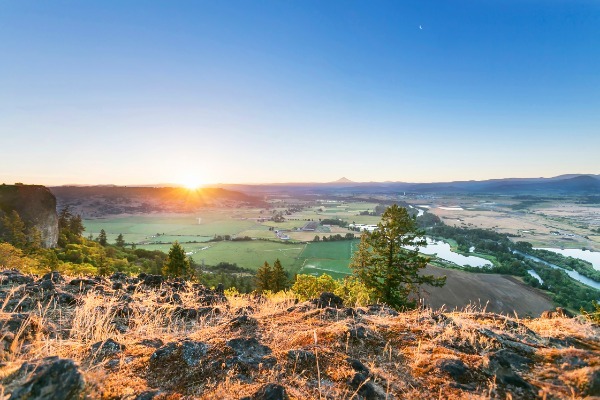 Your travels along the trail will follow the beautiful Applegate River and introduce you to rolling hillsides, verdant valleys, family farms and dynamic vineyards. No matter which winery you visit, you will often be greeted by the winemakers themselves. With a small community feel, the wineries along the Applegate Wine Trail are inviting and treat every guest like family. You can even visit the Applegate Valley's first winery -- Valley View -- which was founded in 1972. Visit the Travel Medford website to find the days and hours for each. 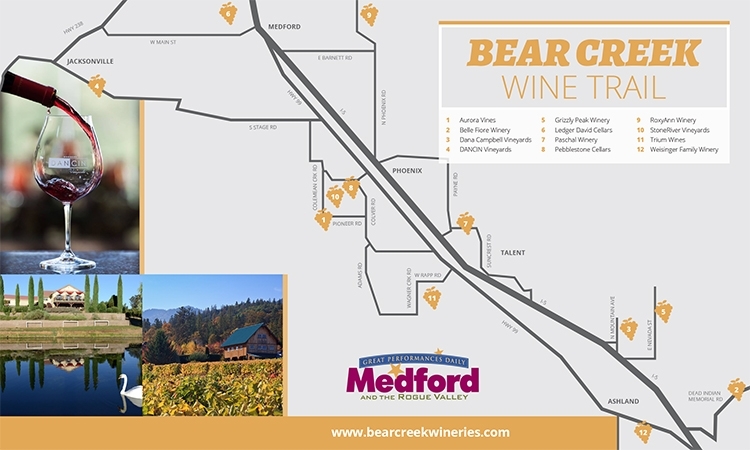 The Bear Creek Wine Trail takes you from Central Point through Medford and down to Ashland, with many awesome wineries along the way. One of the highlights of the Bear Creek Wine Trail is DANCIN Vineyards. A gorgeous retreat tucked away in the hills, DANCIN’s tasting room has an indoor and outdoor option with fireplaces, and culinary delights to make for a perfect afternoon. Two other stops on this trail are Roxy Ann Winery in Medford and Weisinger Family Winery in Ashland. The Bear Creek Wine Trail offers a variety of views, varietals and experiences. 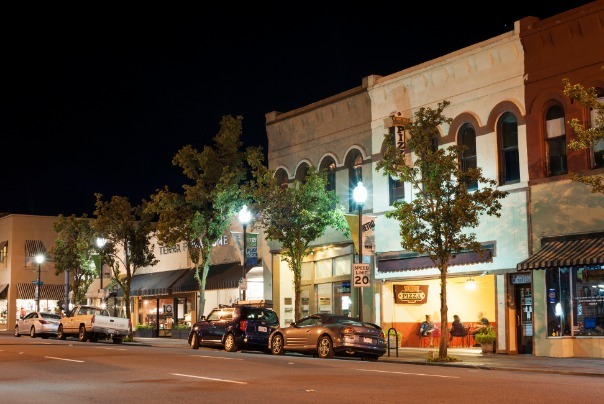 It is also conveniently located to other Southern Oregon attractions such as the Britt Festival and Oregon Shakespeare Festival. Learn more about each winery and their hours on the website. 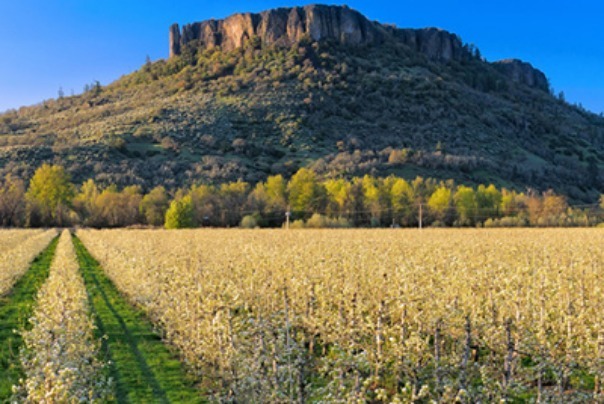 As you travel through the beautiful countryside along the Upper Rogue Wine Trail, you will feast your eyes on iconic landmarks of the Rogue Valley such as the Table Rocks, the Rogue River and beautiful, open landscapes. At each winery, the families behind the wines invite you in to celebrate what makes the Upper Rogue Wine Trail unique. Kriselle Cellars is one of the vineyards along the trail, and a perfect stop during the winter. They have plenty of indoor and outdoor seating with a fire pit. Gather around with your friends and celebrate a special occasion, even if it’s a Monday. Because when you’re sipping wine around a fire pit with vineyard views, even Mondays are worth celebrating. 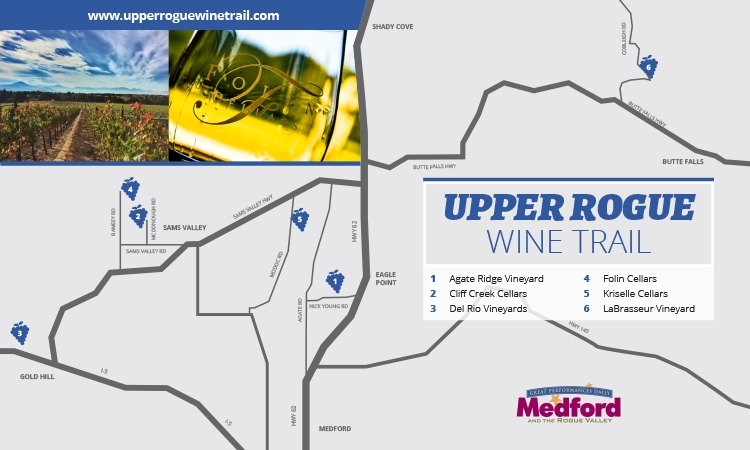 Find the hours for Kriselle and the other Upper Rogue wineries on Travel Medford's website. Southern Oregon’s picturesque wineries are stunning in the winter. A visit to these vineyards will have you dreaming of a winter wonderland and ready to snuggle up with your favorite wine. Explore all of Southern Oregon’s wineries at www.TravelMedford.org.